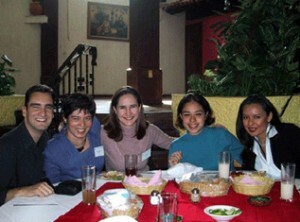 Contributing to the development of future international leaders is the basic thrust of the Buen Vecino Internship Program. 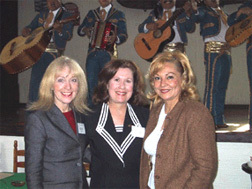 Created in 1995 by the United States-Mexico Chamber of Commerce and administered in the United States by the United States-Mexico Cultural and Educational Foundation for the past seven years, it has provided numerous opportunities and benefits for students, businesses and corporations within the two neighboring countries. 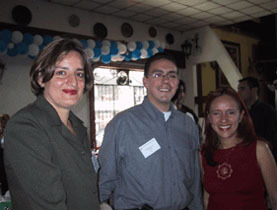 (Left to Right) Marco Tussie, Ruy Echavarría, Gale Fitzwater (BVIP Director) Leonora Guerrero, and Francisco Freyre. 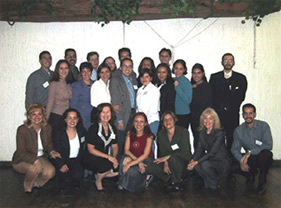 The success of the program can mainly be measured by this growing group of exceptionally gifted and talented individuals, who today hold prominent positions in the bi-national business and trade arena. 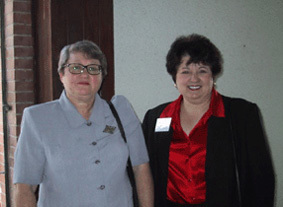 In order to provide continuing support and expand the immediate goals of the Buen Vecino Internship Program, the alumni, with the support of the Chamber, held its first formal general assembly on Jan. 27. 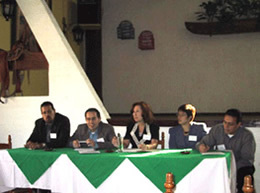 The Assembly created a constitution to legally establish the “ASOCIACIÓN DEL PROGRAMA BUEN VECINO, A.C.”. 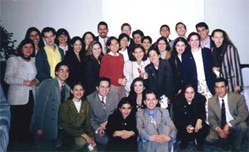 The objectives of the association are to strengthen ties among the alumni; to provide the support, promotion and expansion of the Buen Vecino Internship Program, as well as, other educational and cultural programs. They will provide activities, including socio-cultural ones for the benefit of these programs and services for its members. Having been advised of the intent of forming the nonprofit organization, those present elected a Board of Directors. 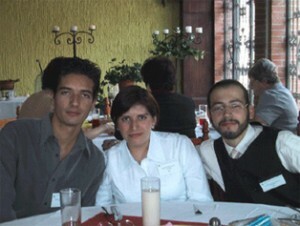 Elected for a term of 2 years where: Ruy Echavarría, President, Leonora Guerrero, Vice President, Marco Tussie, Treasurer, and Francisco Freyre, Secretary. Representatives to the Board from seven sections of Mexico were established to provide an even distribution of participation within Mexico. 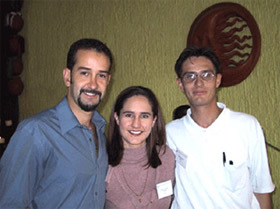 Membership is open to alumni who are citizens of Mexico or the United States of America. 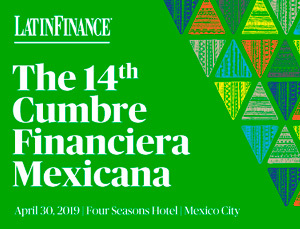 The Association recognizes representatives of participating universities, participating companies, the Cámara de Comercio México-Estados Unidos and the United States-Mexico Cultural and Educational Foundation. The following meeting will take place the second week of August of this year.